Item Number : 29190Feature : TWIN MATTRESSDimensions : 10"H .. Item Number : 29191Feature : FULL MATTRESSDimensions : 10"H .. Item Number : 29192Feature : QUEEN MATTRESSDimensions : 10"H.. 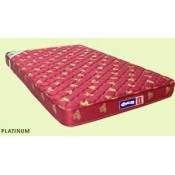 Item Number : 29195Feature : TWIN MATTRESSDimensions : 14"H .. Item Number : 29196Feature : FULL MATTRESSDimensions : 14"H .. Item Number : 29197Feature : QUEEN MATTRESSDimensions : 14"H..
Works with our 350002, 350033, 350006, 350007, 1002 mattressesBed frame sho..
7" FULL FOUNDATIONItem Number : 29101Feature : 7" FULL FOUNDATIONColor :Dim..
7" QUEEN FOUNDATIONItem Number : 29102Feature : 7" QUEEN FOUNDATIONColor :D..
7" TWIN FOUNDATIONItem Number : 29100Feature : 7" TWIN FOUNDATIONColor :Dim..
9" FULL FOUNDATIONItem Number : 29126Feature : 9" FULL FOUNDATIONColor :Dim..
9" QUEEN FOUNDATIONItem Number : 29127Feature : 9" QUEEN FOUNDATIONColor :D..
9" TWIN FOUNDATIONItem Number : 29125Feature : 9" TWIN FOUNDATIONColor :Dim..